Guidance for leading Forest Education experiences. If you work with children and young people in the state education system, you will no doubt be aware of the various guidance that exists for leaders of outdoor education, visits and offsite activities. Last year the DfE withdrew its HASPEV guidance, leaving schools without any national guidance on the health and safety of pupils on educational visits. The Outdoor Education Advisors panel have just launched a new website to fill that void and give employers guidance to adopt as policy, as well as information for staff and parents. Bushcraft, Woodland activities, Forest School, Earth Education etc. These programmes cover a wide range of venues and activities. They range from simple art based sessions in school grounds, for example, to fire lighting, shelter building and the use of tools in remote woodland. Groups may buy into programmes run by external providers. Where Devon or Torbay leaders run the activity, the leader competence should be determined on a case by case basis, according to the activity, venue, planned programme and type of group. • Where the planned sessions does not include the use of edged tools (including but not limited to knives, axes, saws, bill hooks etc) or fires, and is in an accessible location, the leader may not require any specific additional award other than their qualification as a teacher or youth leader PLUS experience of the activity. The use of edged tools require the leader to have specific training and competence. The use of fires requires the leader to have experience and preferably additional training. Sessions in remote locations (more than 30 minutes from a road or refuge) require the leader to have a walking / trekking award appropriate to the venue, for example, Summer Moorland Leader, Summer Camping Leader. Woodlands can present additional risks, particularly in windy conditions. Leaders should be confident in assessing these risks and choosing suitable locations. 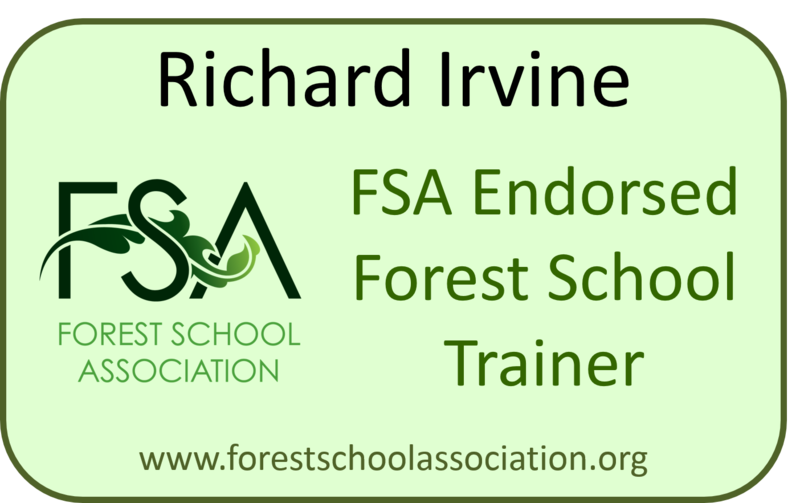 Where a programme is titled “Forest School” the leader running the programme should hold a Forest School leader award. This seems like a pretty common sense and flexible approach to me and hopefully should clarify the situation for leaders, teachers, heads and play-workers in Devon and Torbay. I would be interested however to know what specific training and competence are expected for using edged tools. 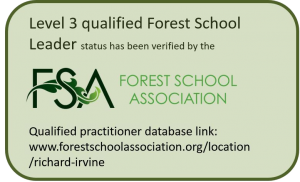 I’m assuming that a Forest School level 3 certificate would be adequate but what about a Level 1 or 2? Will a morning of in-house training be enough for instructors at residential outdoor learning centres who deliver ‘bushcraft’ sessions to show their competence? If you or your staff would benefit from some thorough training in edged tool use with children and young people, please get in touch for details of a bespoke programme.